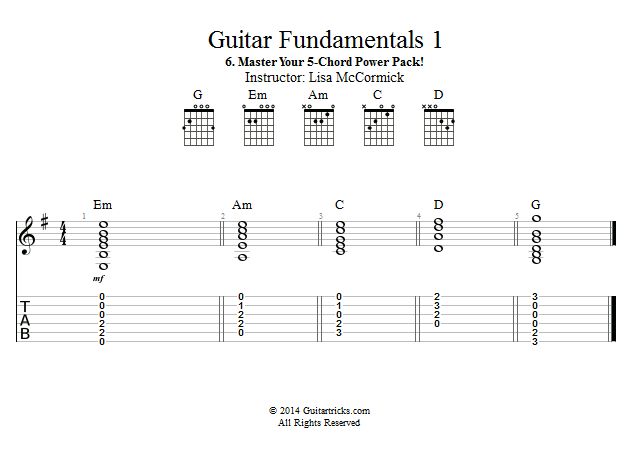 Guitar Lessons: Master Your 5-Chord Power Pack! Congratulations, you have learned the five most popular chords in guitar music! 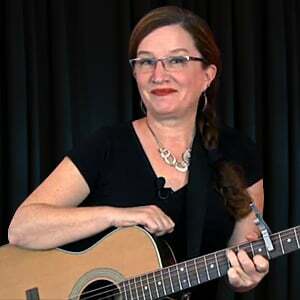 You will find that there are literally thousands of songs you can play that use some combination of these five powerful chords. Be sure and memorize these five chords, and continue to do tone checks on yourself to make sure you are getting the cleanest tone you can. The more you make little fixes and improvements, the more your hand's physical memory will absorb these adjustments, and become habit.